Downloads and Links. Now the virtual folders "Downloads" and "Links" are shown in the folder tree. 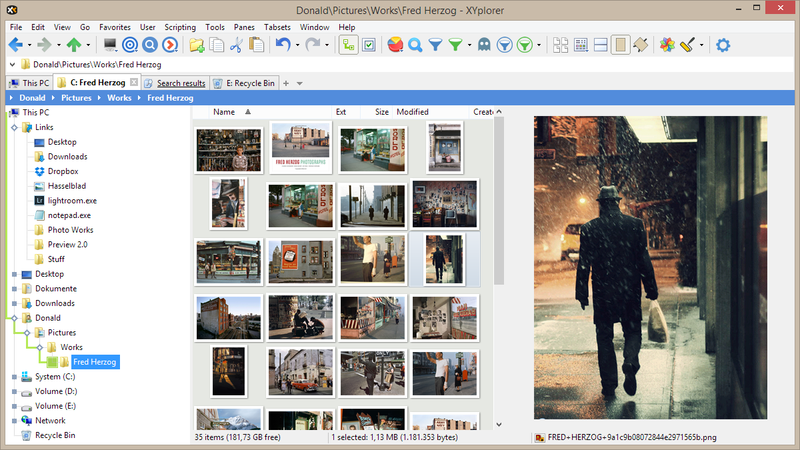 The Downloads folders is a standard folder in File Explorer since Vista. 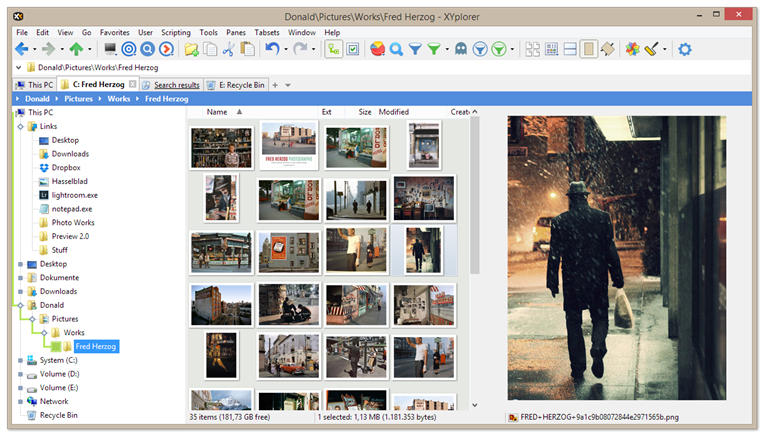 It has been added to XYplorer for completeness. The Links folders is a standard folder as well, but it’s much more interesting. You can add links by dragging items right onto the Links folder. This can be locations, or files (documents, photos, etc), or programs. The screenshot below has some examples. You can click links to jump to the linked location or file, or in case of program links, to open the linked program. You can as well drop items onto location links (item is copied or moved to the location) and program links (item is opened by the program). See the Downloads and Links in the tree view. You could now for example open a photo in Lightroom simply by dropping it onto the lightroom.exe link. Note that contrary to XYplorer’s proprietary Catalog, the Links folder is system-wide. In File Explorer it is called Favorites, but it’s the same thing.